Since the early 1980′s, Unique Plaster has been involved with the manufacture, restoration and reproduction of ornate plaster. Attention to detail and quality have always been the number one driving force in our work. Our portfolio includes plasterwork for significant Sydney landmarks such as the Queen Victoria Building and Pitt Street Mall. 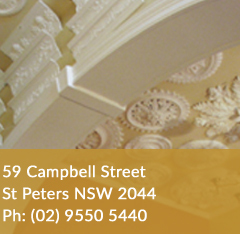 We were the leading force in restoring and reproducing damage to ornate plaster ceilings in the Eastern Suburbs caused by the devastating hail storms in 1999. We have created impacting visual scenes in locally produced blockbuster films, the fashion industry and been a part of many exterior restorations on landmark sites around Sydney. Unique Plaster carries a large variety of plaster products, as well as being able to custom make designs to suit your individual needs. Some of our products include Cornices, Ceiling Rosettes, Panels, Corbels, Bands, Fire Surrounds, Columns, Domes and other accessories; by amalgamating our mouldings together you can create your own individual style. We are able to use our extensive knowledge and experience in the architectural plaster and exterior mouldings industry to offer products that caters to many tastes and budgets. Over the years our range has extended and we have incorporated many different products including our range of exterior lightweight products made with either cement or resin for your exterior façade and are proud that all of our products are manufactured in our factory at St Peters and can be delivered locally, interstate and overseas. 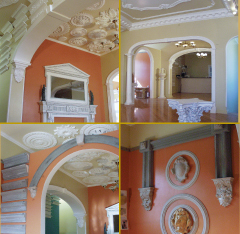 Builders, Designers, Architects, Conservation Architects and renovators choose Unique Plaster for all of their decorative plaster and exterior moulding needs for their building projects. Our longevity and reputation proves our commitment and passion towards interior and exterior architecture and continuing interest in catering to the public and companies who appreciate superior quality in design, products and service. We pride ourselves on our reputation of service and product quality, which is second to none. Our website is intended to showcase our plaster and exterior mouldings products and services. 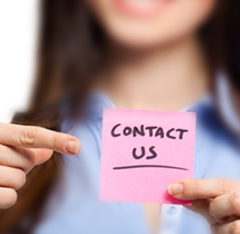 Should you require further information or suggestions, please contact us or we invite you to visit our showroom for some inspiration and we will be more than happy to assist you. We are looking forward to working with you on your next project.